Perfect for couples or friends who want to enjoy the benefits of massage together in our Couples Massage Suite. Choose from our Swedish Massage or our Signature Massage Oasis. This massage designed just for two is bound to bring you closer together. In our Couple’s Massage Suite we begin by sprinkling rose petals and offering the delicate glow of candlelight. Two 50-minute tandem Massage Oasis massages are followed by a warm, aromatic hydrotherapy bath. You’re encouraged to simply relax, sip chilled champagne and feed each other chocolate covered strawberries. Enjoy your relaxing spa pedicures side-by-side overlooking our tropical pools. Swoon into a spicy-sweet cinnamon soak as skin is nourished and warmed by grapeseed, olive fruit and orange peel oils. Then, an organic shea butter sugar scrub – you’ll fall madly in love if you’re not careful – transforms rough skin into babysoft newness. You’ll be painted in an antioxidant-packed CoQ10 cocoa treat – with a devilishly decadent chocolate softening mask. A white coconut and pineapple scented shea and cocoa butter massage finish leaves you in truly delightful relaxation bliss. Chocolate-covered strawberries and a glass of Champagne are served for you to enjoy during your pedicures. Top it off with your favorite OPI or Vinylux Polish. For the ultimate in relaxation, our Couples Package features a 50-Minute Couples Oasis Massage, Couples Pedicure and spa lunch. This massage is also known as “Yoga for the lazy.” Similar to acupressure and shiatsu combined with stretches. The client wears loose clothing. Cranial-Sacral therapy is a soft touch and non-invasive technique. Cranial Sacral Therapy may alleviate numerous conditions including migraines, chronic fatigue, stress and tension, as well as orthopedic problems. This is also known as “Barefoot Shiatsu.” The therapist is supported by wooden bars suspended from the ceiling, while applying different foot strokes along the body. This is a deep tissue massage. The practice of stimulating nerves on the feet to encourage a beneficial effect on other parts of the body. Areas of the foot correspond to areas of the body and assist in the self-healing process. We take a classic massage and make it the ultimate Spa experience. The therapist’s healing touch combines with the therapeutic properties of warm, smooth basalt stones to melt tension from your muscles and de-stress your mind. Our signature full body massage will be performed side by side in our spa suite for couples. Long flowing strokes, promote relaxation and wellbeing. It is exceptionally beneficial for increasing the level of oxygen in the blood, decreasing muscle toxins, improving circulation and flexibility while easing tension. Customize your ritual with the choice of aromatherapy oils, warm stones & heat therapy. Take a moment together after your massage and enjoy an aromatic bath with chocolate-covered strawberries and a glass of Champagne. Can be added to a 50-minute Couples Oasis Ritual only. Make any of our treatments even more delightful with any of these add-on services. Aromatherapy Oils-Used to improve overall health and relieve tension, essential oil blends can turn any massage into an exotic indulgence. Featuring cutting-edge technology, this extra-ordinary treatment works to visibly refine pores, reduce oil production and brighten the complexion. By combining Pevonia's NEW probiotic peptide extract and red clover flower extract, this potent treatment is quickly and easily absorbed for immediate visible results: including Brighter, more luminous looking skin, increased hydration, decreased oil production, smoother surface and tighter, more refined pores. This is a radical facial treatment for dull and dehydrated skin. This facial combines the high potency of Vitamin “C” with stimulating freeze-dried seaweed rendering skin firmer, brighter, more rejuvenated and velvety soft. This is an excellent treatment for sunbathers and sun-damaged skin. An anti-aging facial that gives lift and glow to the skin. Developed for immediate visible results. Renews and repairs the skin while it tightens and firms. 50 minutes of relaxation to reduce nervous tensions, stimulate the spirit, and regain serenity and concentration. This is a hydrating, energizing, anti-wrinkle, anti-pollution facial designed for men and their skin’s needs. This facial contains soothing propolis, a natural anti-bacterial and decongesting ingredient used to sooth and prevent breakouts. Great for all skin types, especially acne prone skin. Infused with argan oil and comfrey stem cells and supercharged de-agers collagen, retinol and elastin. It starts working immediately to visibly reduce lines and wrinkle depth. This facial delivers smoother skin surface and long-term protection of the skins naturally repairing stem cells. Treat your skin to all of the benefits that green tea, licorice and French rose have to offer. 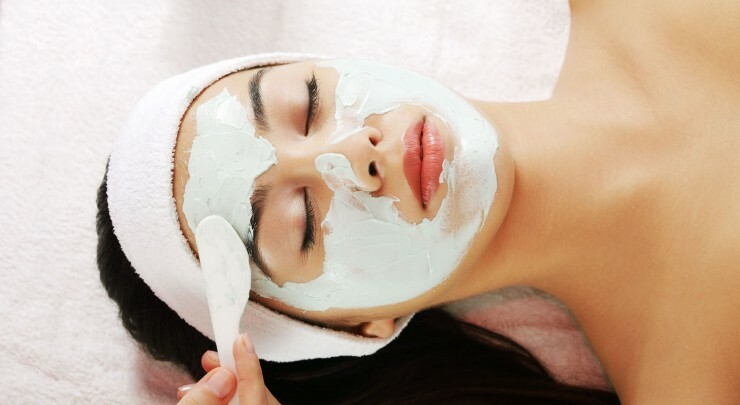 This facial soothes the skin, eases blotchiness and reduces redness. An ideal treatment for all hypersensitive skin conditions, specifically Couperose, Erythrose, Rosacea or Acne Rosacea. This is for all skin types and is a wonderful treatment for anyone who has back breakouts. Treat your back to the same skin care that leaves your face aglow. The Sea Mist Facial Ritual is customized to your skin type and concerns to give you the glowing, renewing result you strive for. A complete deep cleansing facial with exfoliation, steam and warm towels. A blissful combination of technology and ancient techniques. Customize your ritual by choosing the treatment that will address your skins concerns. After a consultation and cleansing with your therapist, your ritual treatment will be chosen to address your specific needs. LightStim's Professional LED Light treatment upgrade will help reduce redness and inflammation and enhance the benefits of your skin care products by increasing penetration. You will enjoy the soothing warmth created by the lights and the natural radiance and youthful glow derived from the LightStim's natural Light Therapy. 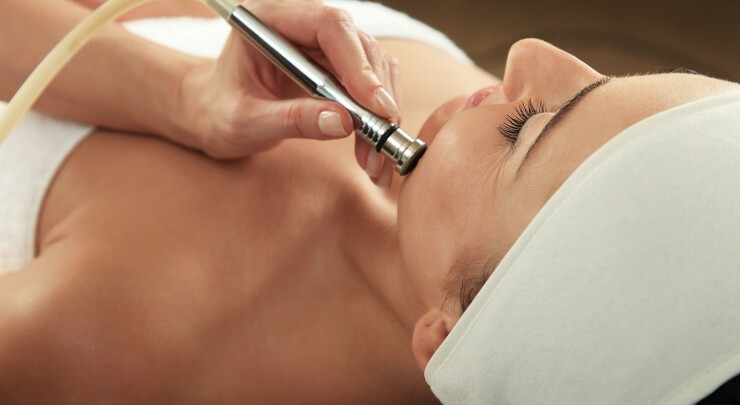 The ultimate age-defying facial includes a complete deep cleansing facial with exfoliation, steam and warm towels. A blissful combination of technology and ancient techniques and NuFACE microcurrent application to lift and tone face, and reduce the appearance of wrinkles across jawline, cheeks, eyes, lips and forehead. Give tired eyes a lift. Change the position of the arch to open the eyes and create a more lifted, youthful, and refreshed look while reducing the appearance of dark circles and puffiness. It also targets hard-to-reach eyebrow furrows, crow’s feet, and smile lines around eyes and lips. This opulent anti-aging treatment lavishes your skin with pure Caviar Extract, Pearl Extract and a revolutionary blend of phytoextracts called Escutox. Improving wrinkles, elasticity and texture, this luxurious mask increases skin oxygenation and suppleness while reducing signs of aging. Hard lift-off mask for ultimate rejuvenation. For those who have little time but still want to look their best. This focus facial is ideal for those on the go. Your skin is cleansed, lightly exfoliated and gently massaged. A pore-refining mask is then applied, followed by a veil of light moisturizer. recommended for hypersensitive skin. This is the perfect “lunchtime” peel! This treatment focuses on the three areas where our skin ages the quickest. Our Beard Therapy Facial is designed specifically for men’s skin and beard care. This facial includes a deep cleansing of the skin and a softening and conditioning beard treatment; leaving your beard softer and healthier and your skin hydrated and energized. We will replenish your beard with the highest quality blends of beard oil and balms to keep your beard tame and shiny (not greasy). This one of a kind facial will leave you relaxed, stress free and your skin feeling brand new. Creating a sense of well being ~ The warmth of the salt dome allows the salt to purify and cleanse. Includes detailed nail care, a Citrus Grass Scrub, warm towels and a massage with Citrus Cilantro Oil. Includes hand exfoliation, massage and warm towels. It is a true spa manicure. 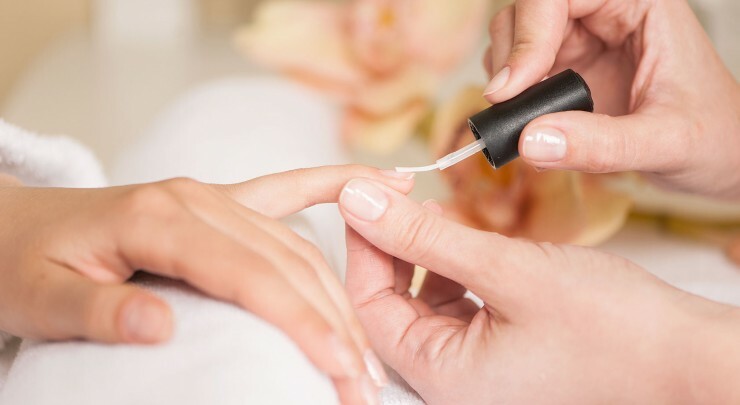 A superior service with CND™ SHELLAC™ Brand 14+ Day Nail Color system features a Base Coat, Color Coat and Top Coat — and the exclusive CND™ LED Lamp. Combines the ease of polish with the performance of a gel. A true innovation in chip-free, extended wear color. Includes nail care, a Coconut Beach Scrub that gently polishes the skin and a light massage with Fluffy Bunny Lotion to leave you soft and smooth. Hands are softened and smoothed in a warm, Nectar whole milk soak. Next, a custom blended beet sugar liquor infused butter rum scrub exfoliates, clearing the way for an antioxidant-rich turmeric and banana mask treatment. Enjoy a massage with a rich shea butter containing organic coconut oil with rich aromas of white coconut and pineapple. Includes nail care, a warm towel wrap, massage. Top it off with your favorite OPI, Vinylux or Dazzle Dry Polish. Start with a dip into a healing oil soak made of certified organic sunflower oil, followed by a whipped shea butter and sugar scrub that gently polishes you to velvety-smooth delight. A white coconut and pineapple scented shea and cocoa butter massage finish leaves you truly relaxed and soft. You’ll feel as fresh as a sunflower after an April shower! Includes nail care, a warm towel wrap and massage. Top it off with your favorite OPI or Vinylux Polish. Relax with warm salt stones in your hands as your feet soak in a Himalayan Sea Salt bath with 84 minerals that can be absorbed into the skin while releasing toxins to create balance. Includes detailed nail care, Citrus Grass Sea Salt Scrub, foot and leg massage with Citrus Cilantro Oil, warm towels with toe stones and moisturizing lemongrass lotion. We will baby your legs and feet to relieve that heavy and tired sensation. Skin is first softened and warmed with a Cucumber Fresco Fizzer Ball. Then, notes of crisp lemongrass and the finest grains of sea salt envelop you from every angle as you’re newly restored, buffed and glistening – you’ve never felt so delicious! Next, you’re cocooned in a nourishing coconut milk mask that helps to refine & repair skin and feels truly refreshing to the touch! Juicy notes of a lime and coconut body milk moisturizer; filled with 8 natural oils, seal in all the delightfulness! Top it off with your favorite OPI or Vinylux Polish. Our spa pedicure is the ultimate in luxury. It is a complete maintenance of the feet plus much more. Feet and legs are softened and smoothed in a warm, Apricot Nectar fizzer ball. Next, a custom blended beet sugar, liquor infused butter rum scrub exfoliates, clearing the way for an antioxidant-rich turmeric and banana mask treatment. Enjoy a massage with a rich shea butter containing organic coconut oil with rich aromas of white coconut and pineapple. Includes nail care, a warm towel wrap and massage. Top it off with your favorite OPI, Vinylux or Dazzle Dry Polish. Skin is first softened and warmed with a Cucumber Fresco Fizzer Ball. Then, notes of crisp lemongrass and the finest grains of sea salt envelop you from every angle as you’re newly restored, buffed and glistening – you’ve never felt so delicious! Next, you’re cocooned in a nourishing coconut milk mask that helps to refine & repair skin and feels truly refreshing to the touch and is followed by a warm dip in paraffin. Juicy notes of a lime and coconut body milk moisturizer; filled with 8 natural oils, seal in all the delightfulness! Top it off with your favorite OPI or Vinylux Polish. Start with a dip into a healing oil soak made of certified organic sunflower oil, followed by a whipped shea butter and sugar scrub that gently polishes you to velvety-smooth delight. A sunflower serum, enriched with vitamins E & A and beta-carotene, a powerful antioxidant, helps to heal and repair dry, sun parched skin and make you less vulnerable to the glimmering sun. Includes nail care, a warm towel wrap and massage. Top it off with your favorite OPI or Vinylux Polish. This beautiful facial will leave your skin smooth, radiant and refreshed. Microdermabrasion is a great treatment to lighten dark spots, smooth fine lines and wrinkles and stimulate collagen growth. With the use of LED light, microdermabrasion, an Aloe Vera treatment and relaxing massage will make your skin feel brand new. This series of microdermabrasion treatments includes six sessions scheduled 7-10 days apart. *When you purchase the microdermabrasion series you will get a 20% discount on the Clarisonic Brush so you can maintain your results at home. Enjoy a relaxing scalp massage using a nourishing blend of Virgin Coconut oil and exotic nut extracts to moisturize, nourish and protect the hair and scalp. Available for massage or body treatments only. Your feet and hands are exfoliated with our lemongrass sugar scrub and than wrapped in warm towels allowing the sugar to melt away. A lemongrass shea butter is than applied leaving your feet and hands feeling soft and smooth. Stim light - Reduces and eliminates fine lines and wrinkles. Restore your skin’s youthful appearance. Stimulate the production of collagen and elastin. 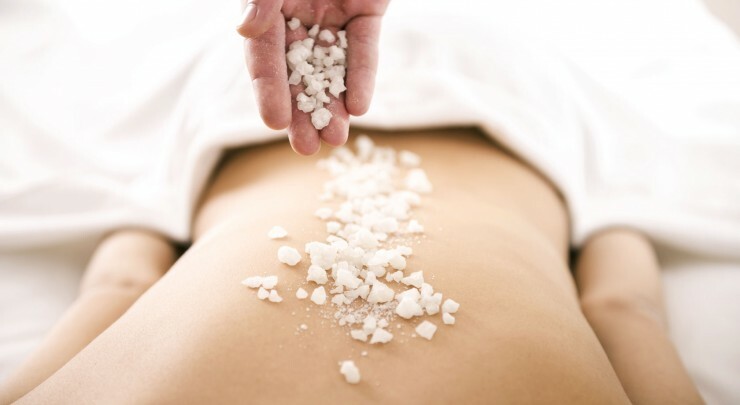 Experience our ultimate relaxing and detoxifying Himalayan Salt Stone upgrade to any of our Signature Massages. The salt stones replenish the body with vital trace minerals to balance, restore and soothe the body.